Escape rooms are a great way to get out with your friends, celebrate a birthday, or bond with your co-workers. But with so many escape rooms in New York City, it’s hard to know which ones are good. And while it may seem scary to get locked into a room with nothing but your wits to save you–even worse is getting locked into a bad escape room with broken clues, sketchy set design, and an apathetic gamemaster. 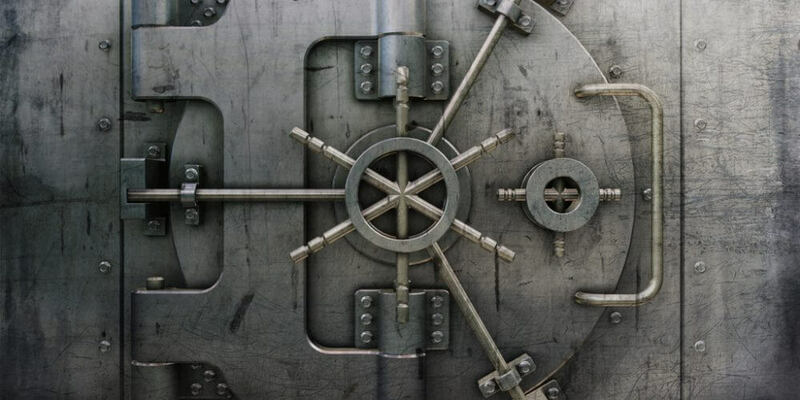 Quit worrying and check out our list of the top 9 escape rooms in New York City. Both new and experienced escapers will love Clue Chase in Midtown. Located in the Grace building right by Bryant Park, Clue Chase is a puzzle-first escape room, with a real focus on game design. The puzzles are challenging, but not impossible, and there’s a good mix of tech and analog clues. Beginners should book The Ultimate Heist—and anyone who wants a real challenge should check out The Lost Spy. Most rooms take from four to ten people but if you have a larger group check out their Alien Encounter room for groups up to 12 people. There’s a reason this is considered one of the best escape rooms in New York. 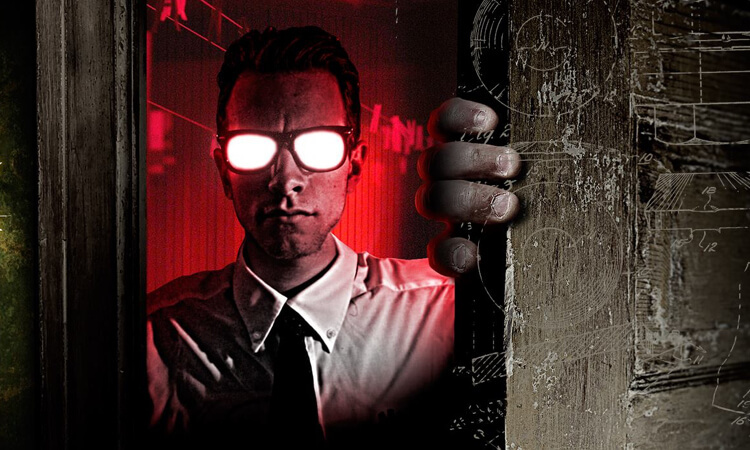 Escape Games NYC in Tribeca has four super fun rooms ranging from Detective Story, based in a classic noir detective setting, to Outer Space, where you’re challenged to take control of an out-of-control spacecraft. There’s also The Experiment, a mad scientist–themed room with truly creative puzzles, and finally if you’re looking for a thrill check out John Doe—a room about a creepy neighbor that’s not for the faint of heart. The best thing about Escape Games NYC? All their games are private, so you won’t be put in with strangers. It does mean you pay based on how many people are in your group, but if you’re going with a group of six the rates here are actually among the most competitive in NYC. 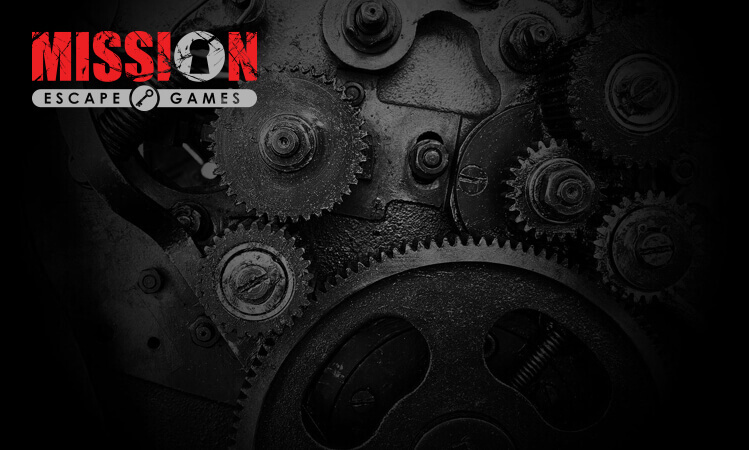 Mission Escape Games is known for its high quality escape rooms in New York City and across the country. Check out their new midtown Manhattan location to find out for yourself. This isn’t just another escape game franchise in which they duplicate their games at every location. These games have fun storylines and incorporate the latest tech into their rooms in a way that is fun and delightful, without sacrificing game design. This one’s a must visit! If you expect your escape room experience to be a cut above, check out OMEscape in Hell’s Kitchen. 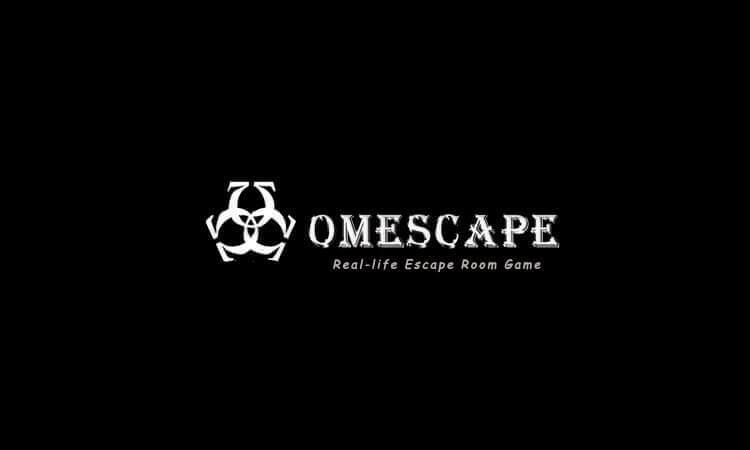 Within walking distance of Penn Station and Times Square, OMEscape really brings it when it comes to room and game design. These rooms incorporate tech in a way that is sure to please die-hard room escapers and delight first-timers—forget about the lockboxes and combination locks. The rooms here have a creepy bent, from Laboratory of Biohazard in which a crazy scientist is trying to poison New York City from his secret sewer lab, to The Penitentiary in which a serial killer sentenced to death has mysteriously disappeared from his cell. This is one of the pricier options, at $38 per player on Friday nights and weekends (it’s $33 otherwise), but when you consider the quality of the experience, it’s no wonder. This escape room in Long Island City isn’t messing around. 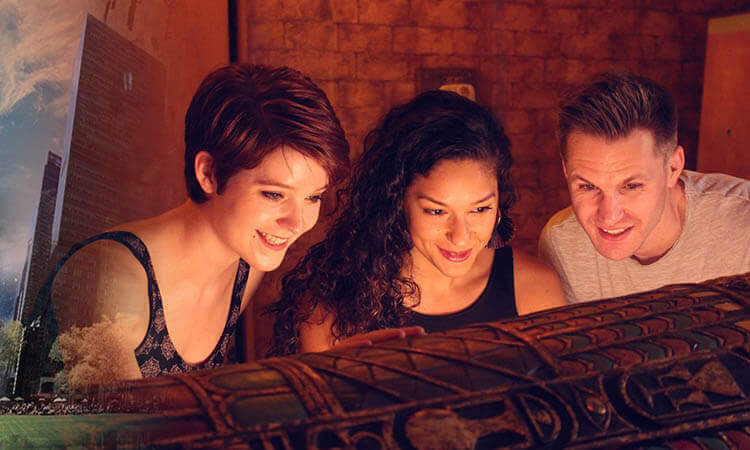 It’s not your typical escape game: these guys have upped the ante by creating a game with puzzles all cleverly linked to a central storyline and incorporating a cast of professional actors, lighting, and effects. They pride themselves on offering a fully immersive escape room experience that is theatrically driven and totally creepy. They’re currently rocking a Sanatorium-themed room and offer a wicked Zombie experience on Friday nights. Looking for a private experience? You’ll need to buy the whole room. And heads up, these rooms aren’t for the faint of heart. With three locations in New York City, Komnata Quest is known for its high-quality game design, immersive storylines, and stellar room decor. The Brooklyn location is their biggest, but they also have a location in the Financial District and another in Long Island City. The tech in these rooms is out of this world—as you enter, you will slowly sink into the story thanks to the flickering light effects and creepy soundtracks that make the atmosphere wholly immersive. 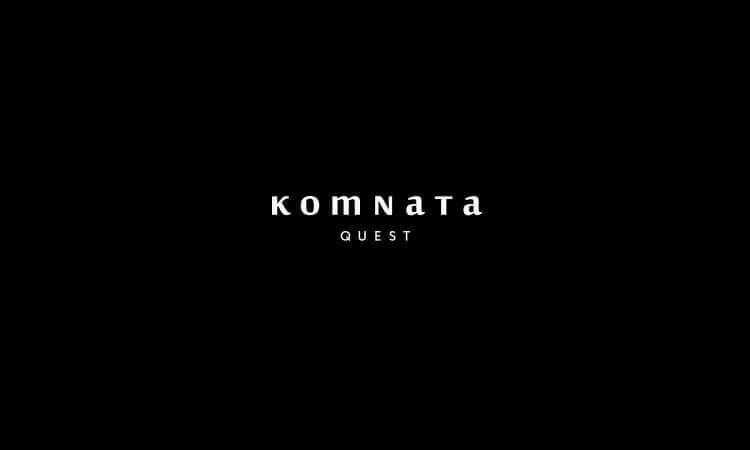 Komnata Quest also won’t put you in with other escapers—these are private room escape experiences. It’s $30–$35 per player on weekdays and $40–$45 evenings and weekends. 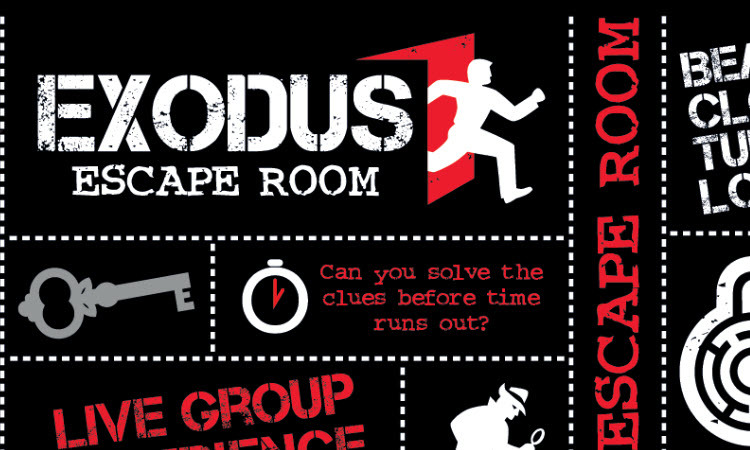 Exodus Escape Rooms, formerly known as 5959 Escape Rooms, is a beautifully designed escape room in the heart of Koreatown. They have three rooms to choose from, including a classic Sherlock Holmes detective story. The puzzles are fairly lockbox heavy, which might bother escape room addicts, but are perfectly fine for first-time and neophyte escapers. Beginners will especially love Exodus, since the clues are unlimited here—in fact you don’t even need to ask for clues, you get them automatically as you play. The gamemaster monitors your progress and offers hints via a TV screen in the corner of the room when you appear to be stuck. They will pair you up with other players here, so keep that in mind while booking. It’s hard to tell if Paradiso is an escape room experience or a real-life choose-your-own-adventure novel. 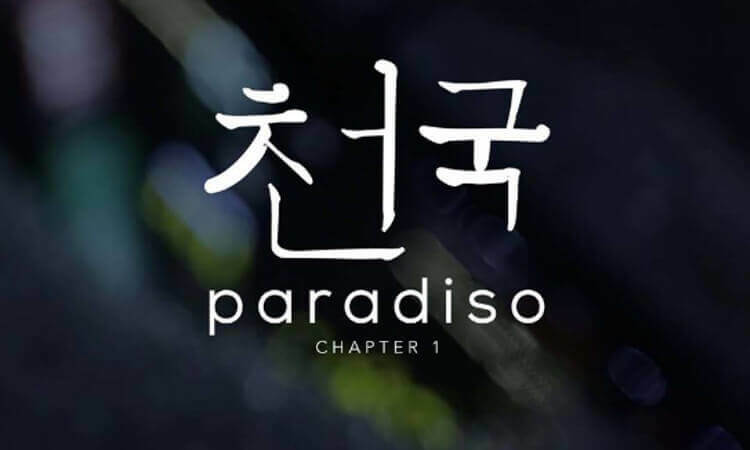 (But don’t worry, unlike actual choose-your-own-adventure novels none of the scenarios at Paradiso see you suffering any kind of tragic bodily harm.) What Paradiso offers is completely unique: an immersive theatre experience meets escape game with live actors, head-scratching puzzles, and multimedia interactions. And the adventure starts before you even set foot in the room… Look after your phone because you’ll start getting strange texts. You’ll meet with a member of the Paradiso crew at an undisclosed location and be escorted into the escape room. Only your wits will help you break out! Hijinks is the online marketplace that makes it easy to discover and book life experiences to enjoy with friends, family, and co-workers. Whether it’s an escape room visit, cooking class, or team building activity, we provide comprehensive listings, customer ratings and reviews, and easy browse and search functionality to help you book with confidence. For more information check us out here!